Feeds, minerals, and other supplies for cattle health available at Washington County Farm Supply and The Feed Store. Processed Grain by-products, roughage products. Processed Grain by-products, salt, plant protein products, calcium carbonate. Feed free choice as a pasture supplement for cattle. To insure adequate intake, this should be the only source of salt. Adequate roughage should be available in unlimited amount. Water must be available in unlimited amount. Wind Resistance – Wind takes your minerals from your feeders creating significant loss and less mineral available for your cattle. Unique manufacturing methods, developed by Purina research, keep minerals in your feeders for your cattle. Water Resistance – Rain, ice, and snow cause conventional minerals to “cake”. Once caking occurs cattle simply won’t eat the mineral. Purina’s Wind and Rain minerals don’t readily absorb moisture. Cattle continue to consume at intake seen prior to rainfall, ice or snow. Consistent Consumption – Purina research shows mineral intake is directly related to product form. Purina’s Wind and Rain minerals provide proper and more consistent consumption versus conventional minerals. Fly Control – Fly control is critical to reduce economic losses due to poorer performance, ensure optimal grazing, and provide overall cattle comfort. Purina’s Wind and Rain minerals with Altosid (Methoprene) interrupts fly life cycle reducing the overall fly population. 10' Cattle Rubs are available at Washington County Farm Supply. We also carry FaceFlaps for the cattle fly rubs and Fly Bullets. Proven on millions of cattle. Simply hang the 10 foot rub and apply along its length about 2 gallons of insecticide solution. The Rub does the rest. Many users reprot treating it less than once a month. Face Flyps wick solution directly from The Rub on to the face, giving effective pinkeye protection and face fly control. Each pack contains 22 Flyps for one Rub. 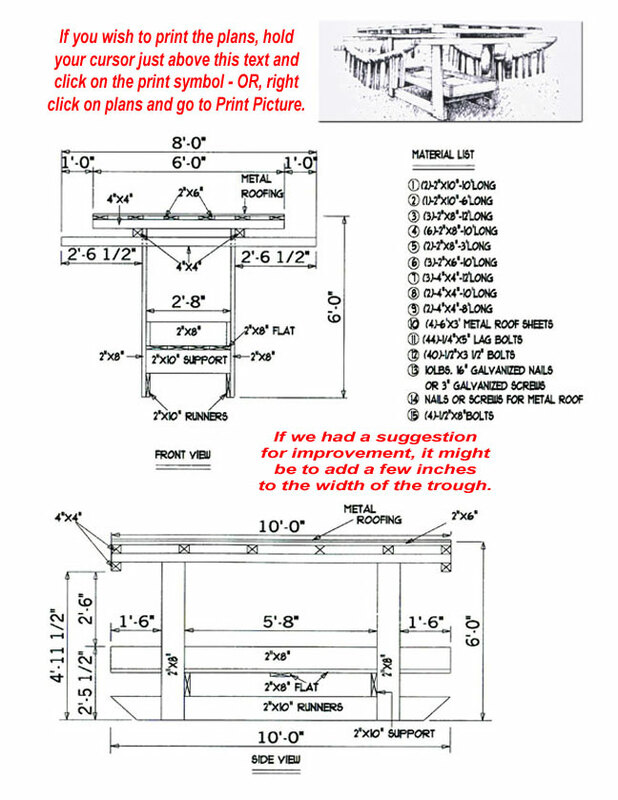 Click the image at left for more information and to view plans for buliding your own feeders and ideas to hang The Rub and Face Flyps where you cattle can get the most use out of it. Topical use only. 1mL per 22lb of body weight. 48 day withdrawl period before slaughter. Administrated IM, IV or SC for spicific needs and duration. Proven efficacy across a wide range of diseases. A convenient lower dose volume for easier administration. Non-prescription. Available from animal health suppliers. A well-tolerated formulation, particularly when administered SQ in the neck area. Noromycin 300 LA is ready-to-use injectable, broad-spectrum antibiotic for use in cattle and swine. NOROMECTIN 1% 1% w/v ivermectin in a sterile solution. One low-volume dose for effective treatment and control of internal and external parasites, including gastrointestinal roundworms, lungworms, grubs, sucking lice and mange mites. The active ingredient - ivermectin - provides convenience, broad-spectrum efficacy and a high margin of safety. Proven to effectively control infections and to protect cattle and swine from reinfection. Noromectin 1% Injectable ivermectin is a parasistcide for the effective treatment of a wide range of internal and external parasites of beef cattle, non-lactating dairy cattle and swine. Used against a wide range of gram-opsitive and netative bacteria for beef cattle, dairy cattle, calves (including pre-ruminating veal calves), and swine to treat respiratory diseases, shipping fever, pinkeye, foot rot, diphtheria, scours and wooden tongue. For treatment of the following bacterium: pasteurella spp. and multocida, hemophilus, moraxella bovis, fusobacterium, necrophorum, E. coli, actinobaccillus lignieresii, leptospiro ponoma, strains of Streptococci and staphylococci. Alfalfa-based pellet that lets you feed and deworm in a single step. Armed with fenbendazole, the active ingrediend in all Safe-Guard products, these pellets control large strongyles, small strongyles, pinworms and ascarids in horses. Safe-guard 0.5% alfalfa-based pellets are safe for horses, including foals and pregnant mares. For the removal and control of: Lungworm, stomach worms, barberpole worms, brown stomach worms, small stomach worms, intestinal worms, hookworms, thread-necked intestinal worms, small intestinal worms, bankrupt worms, nodular worms.